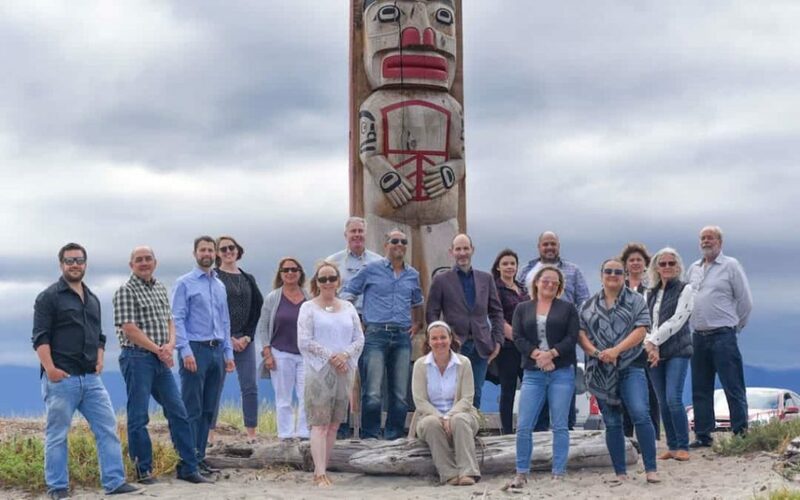 Sept. 18, 2018 - K’ómoks First Nation, in partnership with Qualicum First Nation, welcomed TimberWest, the Canadian Council for Aboriginal Business (CCAB), and the Sustainable Forestry Initiative Inc. (SFI) to the K’ómoks First Nation Band Office to announce that they will pilot the SFI Small-Scale Forest Management Module for Indigenous Peoples, Families, and Communities. This is to be implemented on Rosewall Forest Tenure Holdings Ltd, the jointly managed working forest of K’ómoks First Nation and Qualicum First Nation. The SFI Forest Partners Program provides financial support to grow certification across the supply chain. The partners include Meredith, the National Geographic Society, Macmillan Publishers, Pearson, and Hearst Enterprises.